adjustment of status > Joint Motion to Reopen Granted! Joint Motion to Reopen Granted! 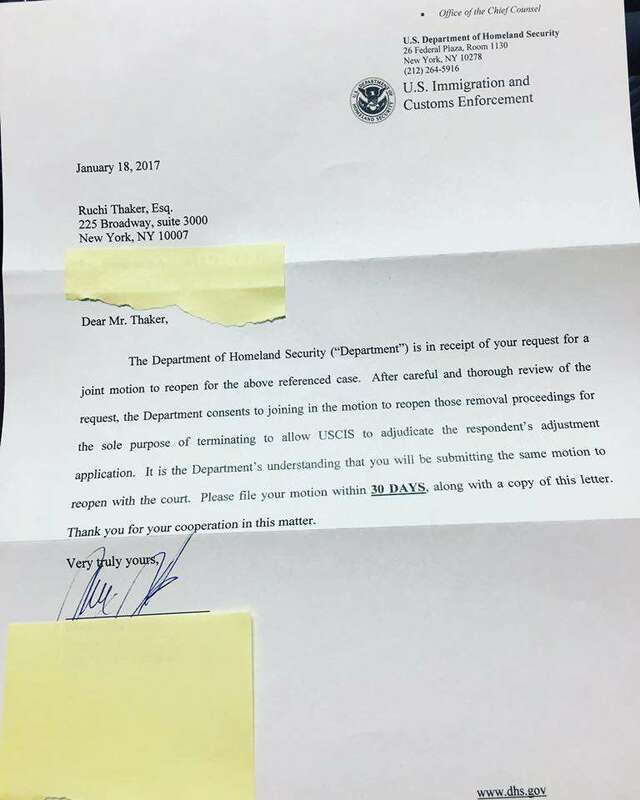 I am thrilled to report that today, I received a letter from DHS agreeing to join in a proposed joint motion to reopen I had filed for a very deserving client, so that she could finally have a chance to pursue permanent residency! She has waited over 20 years for this! 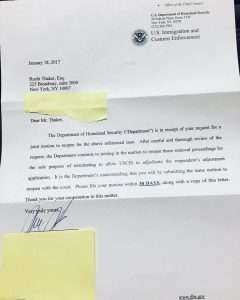 Posted in adjustment of status, EOIR, Green card, immigration, Immigration Court, motions to reopen.